What is Knights to Christ? Knights of the Crusades wore heavy armor to protect themselves from Muslim weapons of war. Today, many of us wear the protective armor of fear that shields our belief system of faith, hope and love from expressing itself to others. Some of us are vulnerable to potential criticism of our innermost thoughts and beliefs about our faith; our Catholicism and our spiritual journey. The purpose of the Knights to Christ Spiritual Enrichment Initiative is to dissolve that fear. It opens our hearts to hear divinely inspired messages from others. These messages of spiritual strength and experience emboldens us to share our own experiences of faith with other men starved for spirituality. 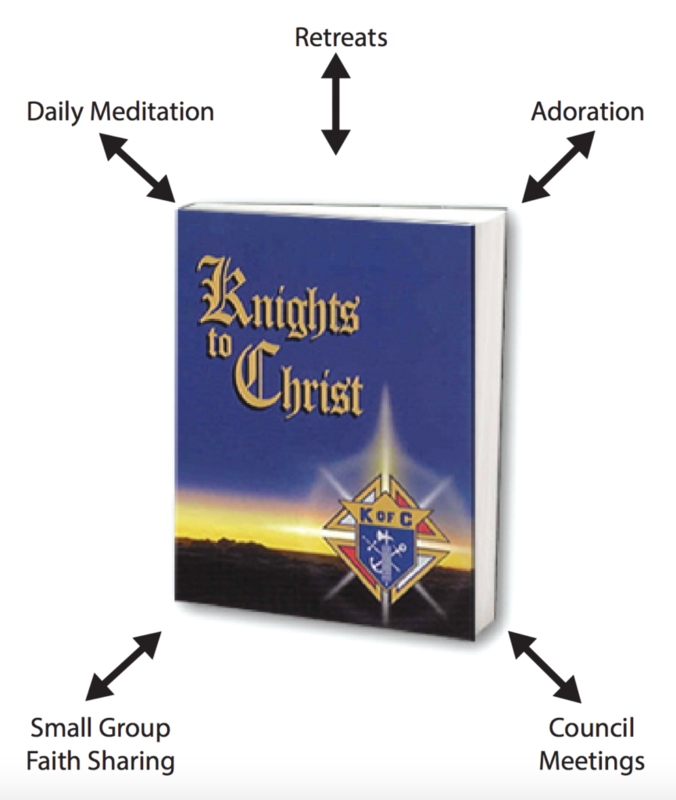 The spiritual initiative focuses on the four principles of the Order: charity, unity, fraternity and patriotism as set forth by our inspired meditation book, Knights to Christ. The initiative is a simple, but powerful plan of action that is inspiring and fulfilling, bringing us closer in unity with one another and the Holy Spirit. Download the Turnkey Retreat Guide. For more information, contact Jerry O’Connor at jerry@knightstochrist.org. “Blessed is the man…,” the Psalm begins as it describes the rewards a man of beatitude receives. His “delight is in the law of the Lord, and on his law he meditates day and night. He is like a tree planted by streams of water, that yields its fruit in its season, and its leaf does not wither. In all that he does, he prospers” (Ps. 1:2-3). Reading these verses, we might easily call to mind the Knights of the Columbus. This passage illuminates what makes their apostolate so effective. They are men who meditate on the Word of God day and night; they have planted themselves by the streams of grace which the Church offers in her Sacraments and Sacred Scripture. They understand that to yield fruit and have leaves that do not wither requires a deep root system in Jesus Christ and prayer. I am grateful to my brother Knights for the new edition of this work and for their diligent effort in making it even more available through the multiple translations and eBook format. May it continue to be a source of spiritual nourishment for all who use it so that they prosper in all they do and bear abundant apostolic fruit. 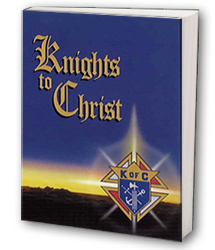 Knights to Christ now available electronically! Knights to Christ is now available in an electronic edition designed for use on your Amazon Kindle, Apple iOS device, Google Android device and any other device that can support the Kindle Reader software. This edition provides the ultimate in portability… Knights to Christ can now be with you anywhere you can take your phone or portable electronic device! To make this even better, the Knights to Christ electronic edition is available at the low price of $2.99 per copy. Amazon Prime customers can take advantage of the Kindle Owner Lender’s Library to borrow the electronic edition for FREE! As always, the print edition continues to be available. You can order either edition of the book by clicking here. 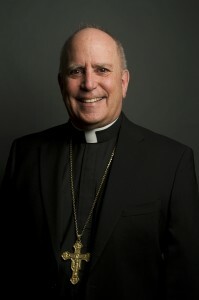 The Knights to Christ books can be ordered via Amazon.com or at the country store. It is also available in electronic format for your Amazon Kindle, Apple iOS or Android devices. View our selected monthly reading here! Knights to Christ is a book envisioned by Past State Deputy Jerry O'Connor over 10 years ago. Jerry's inspiration came from Fr. Mark Link's Vision 2000 series of daily reflection books. Jerry thought if there was a book of reflections specifically designed for Knights based upon Scripture and the four principles of the Knights, it could become a powerful tool for deepening the spirituality of knights. In January 2001, that vision has become a reality in Knights to Christ! It brings you closer to Christ! The Knights to Christ book has truly deepened my spiritual life. Reflecting on the readings each day truly draws me closer to Christ.